Growing up in the ’70s and ’80s, a big part of my week was getting up early on Saturday morning to watch cartoons. One of my favourites was “Super Friends” (my second favourite was “Land of the Lost”), especially the episodes with Bizarro, who was like Superman’s alter ego. In Bizarro’s world, everything was the opposite of the Super Friends’ Earth, which meant that Superman was actually a bad guy. People referred to him as Bizarro Superman, and he went around stealing everything and doing all the very worst things he could possibly do. When we have enough of not moving at all and we actually need to do something else, we will move slowly. By that, I mean we will spend most of our time moving at a speed that’s not close to our max velocity. In order to achieve that, we will get really tired first and then try to move at max velocity.I’m sure in Bizarro World when our nervous system is completely fried, we will not be able to move quickly at all and our brains will think that moving slowly when tired is the right thing to do. This will be especially effective when our bodies get in poor anatomical positions and we train the wrong muscles to do the work that the more powerful muscles should be doing. When we finish moving around slowly, fatigued, we will push really big and heavy things very slowly. By doing this, we will ensure our brain knows that our body should move very slowly and our nervous system gets used to being weighted down. This way, our systems cannot get used to being explosive and fast in an environment where there is no weight.So that we do not get better at this short movement, we will move our joints as little as possible through these ranges of motion and use the fewest effective muscles as possible to move that really heavy weight. We will contort our bodies into strange positions that are not at all like what they would be on the playing field. Image 1. Athletes must train specifically, but pattern overload can lead to injuries, so it’s essential to rotate changes or variations. 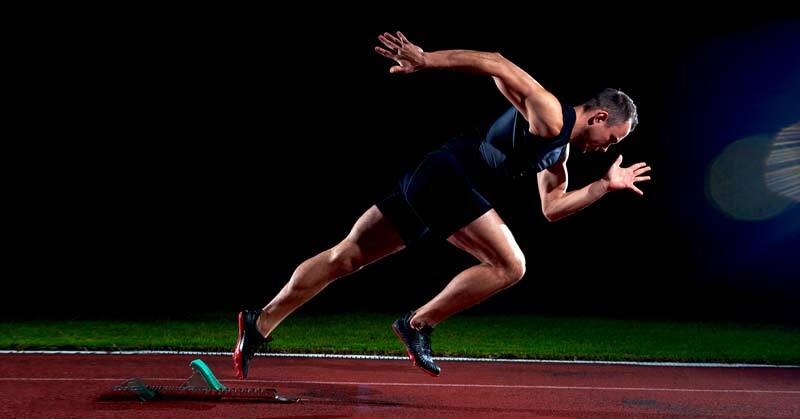 Changing surfaces, starting positions, and even running techniques offer ways to get speed training without as much risk of injury. How many times have you walked out of a movie like “Dunkirk” and felt exhausted? Or you had a stressful day and experienced the same feeling? Stress costs the body. There is nothing you can do to counter stress other than teaching your athletes to relax and breathe. Give them targets to focus on during the day, rather than the game itself. More gassers at the end of practice will not solve this problem. There is a time and place for everything. I’m not saying that we should get rid of strength training, weight lifting, or anything like that, but we need to make sure it happens at the right place and the right time. For my athletes, the off-season is a great time to get stronger. However, I need to make sure that there is ample transfer of that lift to their movement or skill. Therefore, if I stay with the squat, I want to make sure that it is an athletic squat. But if I want to be more specific to running, I make sure that athletes are on one leg and challenging their lateral stability. Very rarely, in a sport that requires movement, are they on both legs at one time. If you want to lift heavy to improve your force, make sure it’s a proper angle and body position so you ensure there is a maximum amount of transfer to that push or projection of your centre of mass.